Since the release of Phantogram’s debut, Eyelid Movies, the New York-based duo of Sarah Barthel and Josh Carter have enjoyed quite a bit of success, especially commercially. But that was four years ago, so it’s no surprise that their second LP, Voices, has been one of 2014’s most anticipated albums. Voices doesn’t stray from what was built in Eyelid Movies. Instead, it aggressively hammer out the kinks, aiming for refinement and precision. “Nothing But Trouble,” “Fall in Love,” “Black Out Days” and “The Day You Died” are provided with room to breathe that lets each groove settle with ease and sparser sonic landscapes where bursts of intensity are spaced out. “Bill Murray” is a beauty of a slow-burner, focusing on dramatic tension, while “Bad Dreams” and “My Only Friend” display emotional and powerful restraint, shining brightest at its most subtle moments. What stands out the most is the crisp and clean production quality, aided by producer John Hill. Each instrumental layer and electronic beat is distinguishable and neatly structured as to not overpower one another or Barthel’s dynamic vocals and melodies. 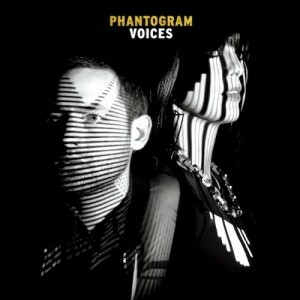 Voices isn’t a full-blown evolution, but a vigorous progression where Phantogram impressively continues to establish their style of electro-psych-pop/trip-hop.